IPVM releases a number of new posts each day. One recent request was an option to get notified as soon as each one is released. We just added that ability. 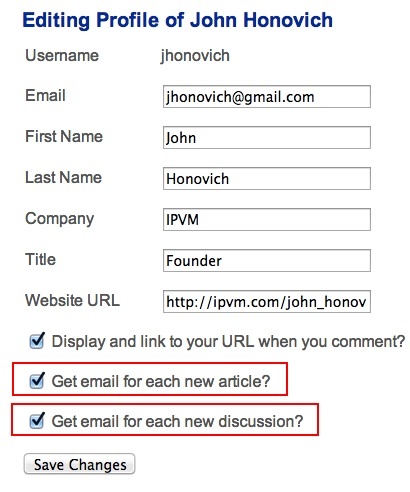 Now, you can set a preference to get an email for each new article and/or discussion. You'll never miss anything. You can try it out, set one or the other, change over time, etc. There are, of course, other ways to stay informed: Follow us on Twitter or wait for our periodic general newsletter.